Are you interested in going on a camping trip in the near future? If you are, you will soon find that you have a number of different decisions to make. 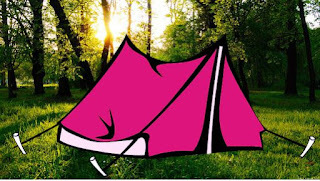 One of the many decisions that you will have to make, when looking to plan a camping trip, involves deciding what type of food, drinks, and snacks you would like to bring along with you. If you would like assistance with doing so, you will want to continue reading on. One of the many food items that you will want to think about bringing along with you on your next camping trip is that of meat. Meat is a popular camping food, as many campers like to cook outdoors and have a barbeque. When it comes to meat, you have a number of different options, including chicken, steak, hot dogs, hamburgers, and sausages. If you buy your meat ahead of time and freeze it, be sure to leave enough time for your meat to properly thaw before each of your meals. Also, be sure to keep your meat cold in a cooler filled with ice. As nice as barbequed meats are, many campers like to have full meals. If that is the case with you and the rest of your camping party, you may want to think about buying a few bagged salads. Bagged salads are nice, as they are pre-made and they come in a number of different styles, including ones filled with other vegetables. What you will want to do though is make sure that your bagged salads are kept in a cooler and that each opened bag is sealed with a rubber band or a bag clip. Condiments are just a few of other items that you will want to think about brining along with you on your next camping trip. Your condiments may include mayonnaise, salad dressing, relish, ketchup, and mustard. 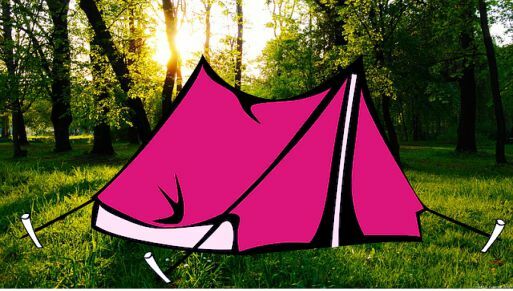 What you may want to think about doing is just buying each of these items new for your camping trip. As nice as many of those outdoor camping condiment containers are, they can be messy to fill and transport. With most condiment items, like ketchup and mustard, costing less than two dollars each, it may be more than worth it for you to just buy your condiments new. In addition to “real,” food, you will also want to bring a selection of snacks with you on your next camping adventure. When doing so, it may be best to go with bagged snacks, as they are often nice and easy to transport and maintain. You can do something like a large bag of pretzels or chips or you can get the individuals packs. What is nice about bagged snacks is that they aren’t all unhealthy foods anymore. You can find a number of healthy bagged snacks for you to take with you on your next camping adventure. You will also want to bring a large selection of drinks along with you. Make sure that you have a lot of water, especially if the weather is forecasted to be warm and sunny. When bringing along other drinks with you, you will want to try and stick with anything bottled. Bottled drinks help to ensure that nothing will get spilled or tossed away after being left out for a while. This, essentially, can save you money. If you are camping with children, it is important to know that many juices are being sold in bottles; however, juice boxes may work as well. The above mentioned items are just a few of the many food, drinks, and snacks that you may want to think about bringing along with you on your next camping trip. When buying food, snacks, and drinks, you may want to create a list for yourself beforehand. You may also want to start buying your food, snacks, and drinks in advance, especially when you can find what you need on sale, as it may be able to save you a considerable amount of money.